Andrew Bolstein has worn many hats during his 25-year career with Walt Disney Parks and Resorts. Starting as an industrial engineering intern at Walt Disney World Resort, he moved on to leadership roles in finance and operations. He led the creation of operational protocols during the construction of Hong Kong Disneyland, seeing that project through to opening day and subsequently relocating to lead the park’s operations teams. 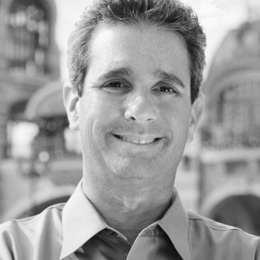 Bolstein played a similar role during the development of Shanghai Disney Resort, where he now leads thousands of employees who deliver world-class guest experiences on a daily basis. Disney’s theme parks, resorts and cruise ships are highly tactile environments, where thousands of people from around the world interface with hundreds of unique objects every day. Ensuring each of these elements is safe, functional and resilient—while also being impeccably themed and seamlessly integrated into a story—is challenging. Whether it’s making mountains float or creating a “living, breathing” ride vehicle, it takes strong collaborations across the global creative, design and construction group known as Walt Disney Imagineering—along with operational leadership at Disney’s destinations—to make the impossible, possible. These highly skilled teams represent dozens of disciplines that come together to create immersive experiences that inspire emotional connections with guests around the globe. Join Bob Weis, president, Walt Disney Imagineering, and Andrew Bolstein, vice president of operations, Shanghai Disney Resort, as they share how these critical partnerships work and the significant role industrial design plays in their success.